If you haven’t heard of Battle of the Blades, you really should check it out. The show is essentially Dancing with the Stars on ice, with former NHL pros being paired with some of the best Canadian figure skaters, each pair peforming a pairs figure skating routine each week, to a different musical theme. 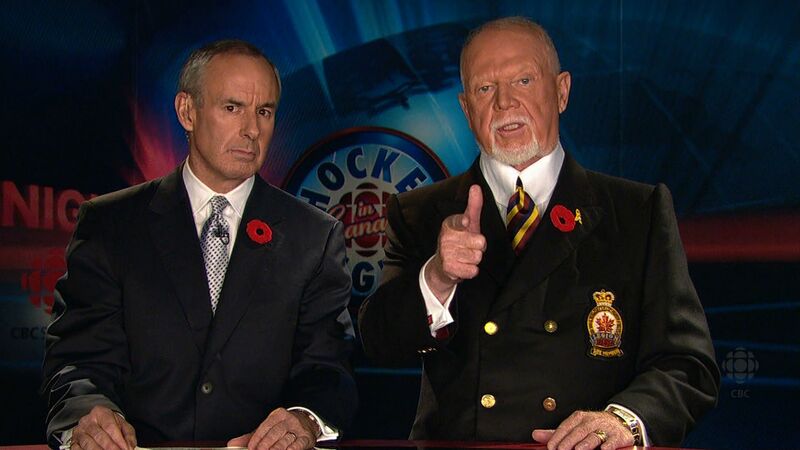 The first season came to a conclusion this week on CBC, with two-time Stanley Cup winner Craig Simpson and Olympic gold medalist Jamie Salé winning the first incarnation of this show. 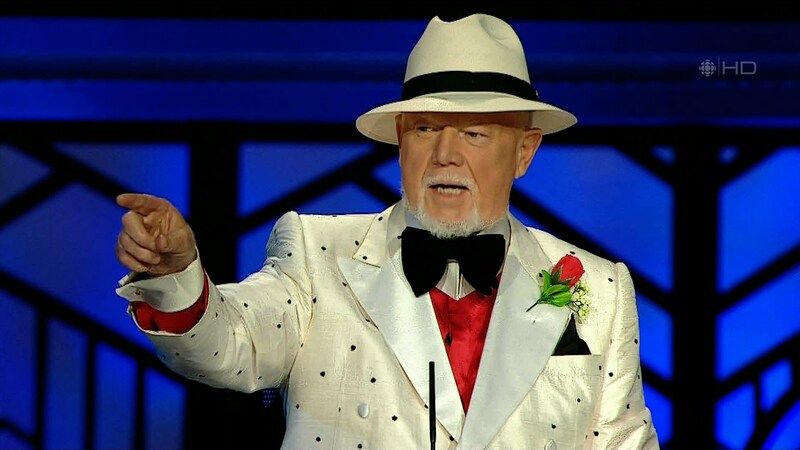 Of course, no such show is complete without celebrity guest judges, and the second week featured—of course—our favourite Donald S. Cherry. Being freed from the strictures (?) 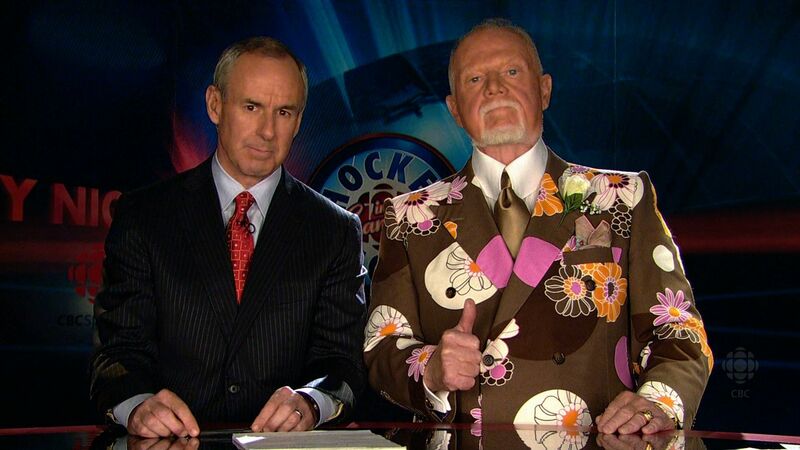 of Hockey Night in Canada, Grapes evidently found himself free to jazz up one of his winter outfits for the occasion. Check out the hat, the bowtie, and the shirt/vest thing with the collar attached. This has got to be the most fabulous wintry 1920s-gangster outfit ever conceived. Sorry I sat on this one for such a long time before posting it, but I think you’ll agree it was worth it.